I have been on a bit of a peashoot kick lately. They are a nice break from the usual greens and they have such a great rich and nutty flavour. I usually just toss them in as an addition to a burger or stir fry, but I wanted to make them the highlight of a recipe. 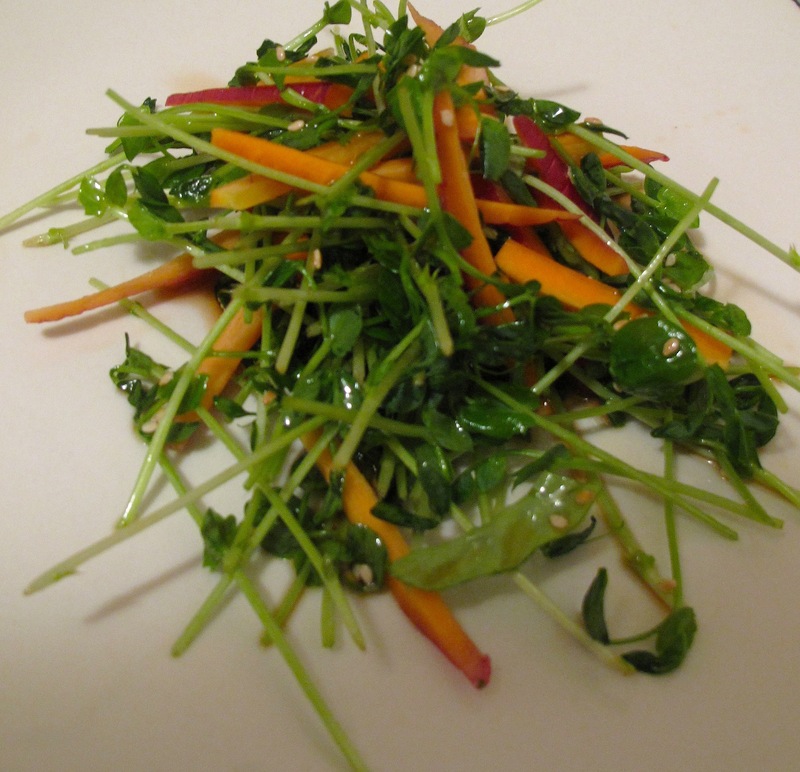 I made a Peashoot Salad which was super delicious, fresh and healthy, yum! I’m a big fan of multicoloured heirloom carrots, mainly because of how they look but also because they are so very delicious. Not only does it taste fantastic, it also looks pretty which is an added bonus if you eat with your eyes like I do. 1. 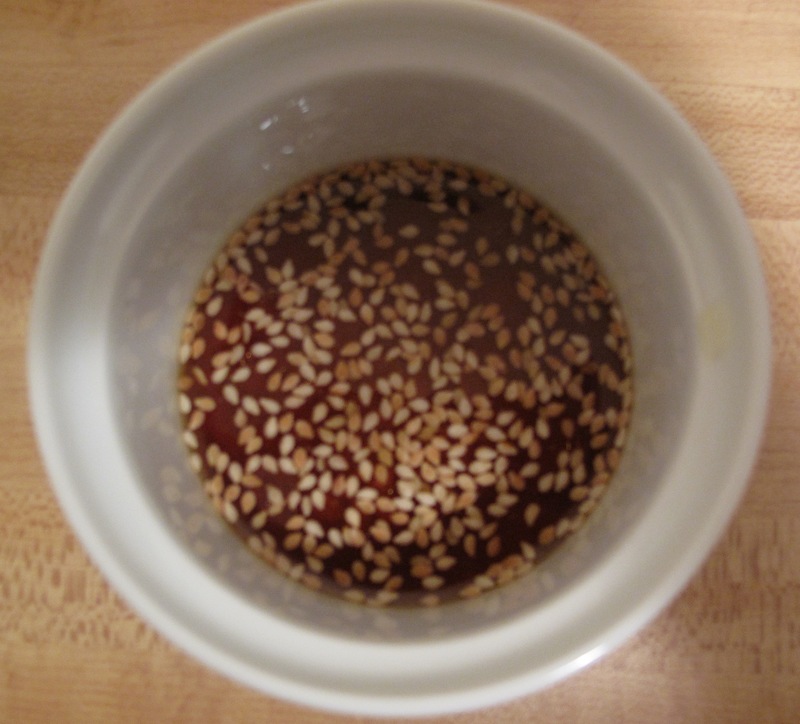 In a small bowl mix together olive oil, agave nectar, rice vinegar, soy sauce and sesame seeds. 2. 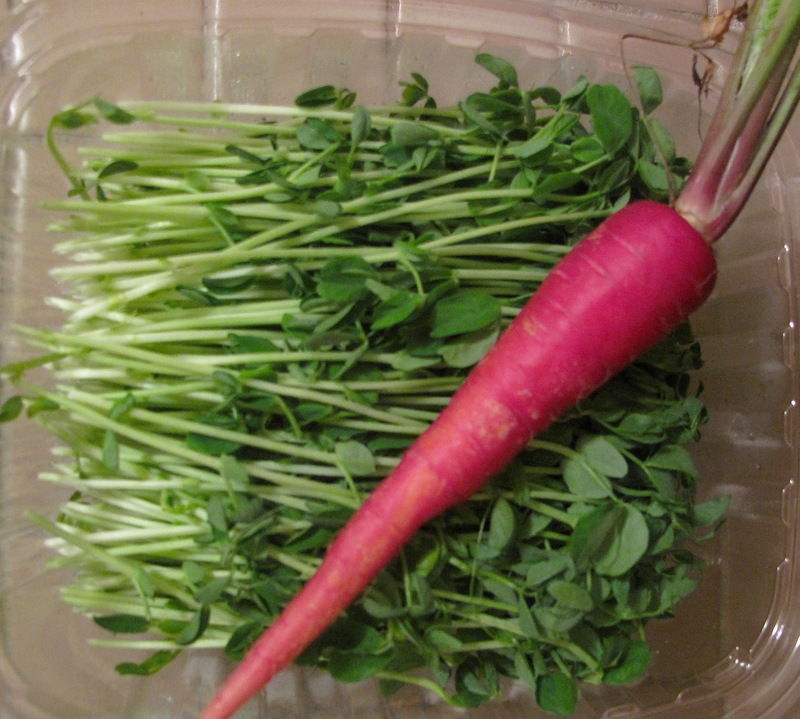 In a large bowl toss peashoots, carrots, and basil. Toss dressing in. Serve right away. This entry was posted in Diet, Salads, Sides, Vegetables and tagged agave nectar, cooking, food, healthy, peashoot salad, peashoots, Recipes, salad, sesame seeds by Karina. Bookmark the permalink.